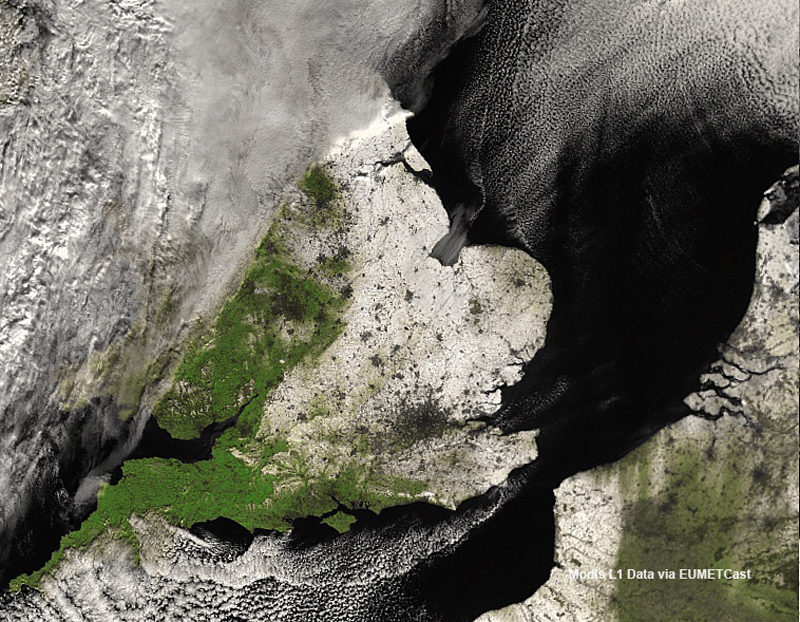 MODIS (or Moderate Resolution Imaging Spectroradiometer) is a key instrument aboard the Terra (EOS AM) and Aqua (EOS PM) satellites. Terra's orbit around the Earth is timed so that it passes from north to south across the equator in the morning, while Aqua passes south to north over the equator in the afternoon. 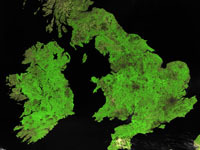 The MODIS instrument has a viewing swath width of 2,330 km and views the entire surface of the Earth every one to two days. 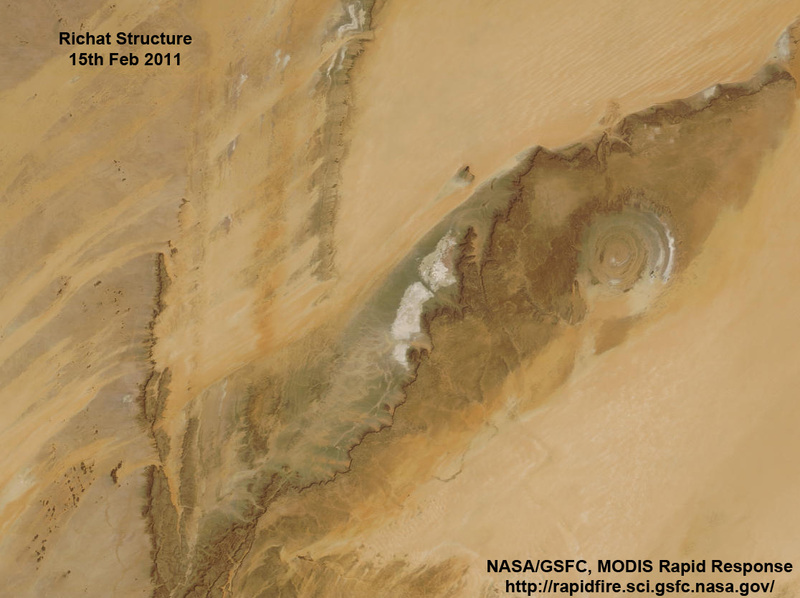 Its detectors measure 36 spectral bands between 0.405 and 14.385 �m, and it acquires data at three spatial resolutions -- 250m, 500m, and 1,000m. Whereas the Rapid Response images are complete 'ready to use', the other sources allow one to download raw data for working on locally. 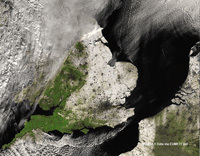 David Taylor's MODIS L1 Viewer allows one to visualise image or fire data from the MODIS satellites (Aqua and Terra) from the Internet or the 1km resolution data sent over the EUMETCast system (register with EUMETSAT to get this additional data). The data is sent in 5-minute segments, and the program allows one to combine multiple 5-minute segments from the same pass to produce a combined image. 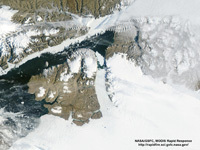 Both the raw data, and several derived false-colour images are available. 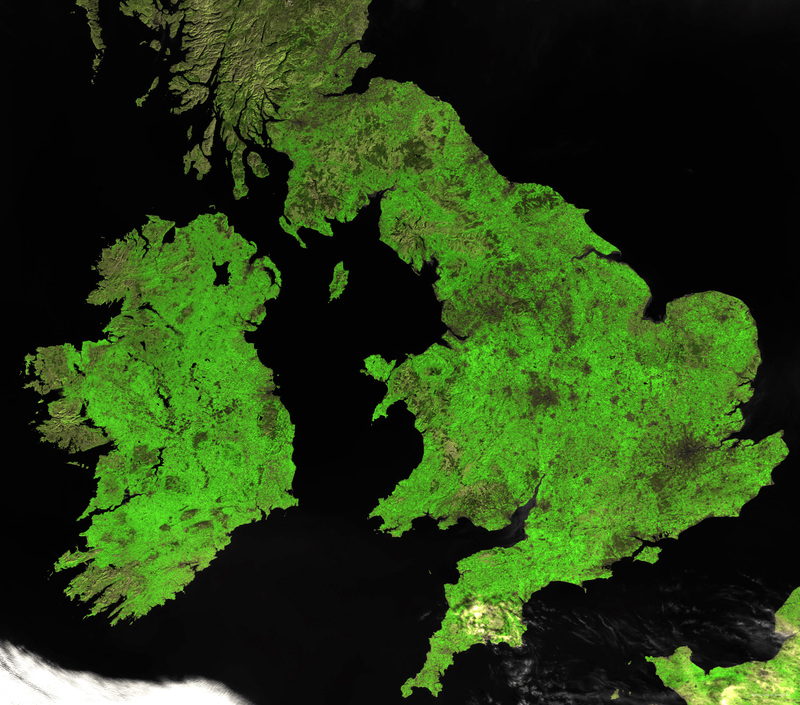 From the MODIS L1 Viewer version 3, one can use 250m, 500m or 1km resolution data from the LAADS Web site, and produce false-colour combinations from either visible or thermal bands. Because of the much larger size of this data (up to 44 Megapixels and greater), image combining is done in your own image progressing program.